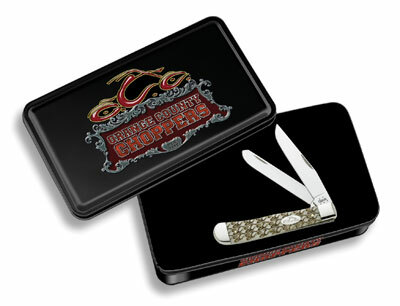 Natural OCC Jigged Bone Trapper in Gift Tin. As with all natural material color and texture may vary. NOTE: FACTORY BUY OUT, GIFT TINS MAY HAVE SCUFFS AND DINGS. Made in the USA.